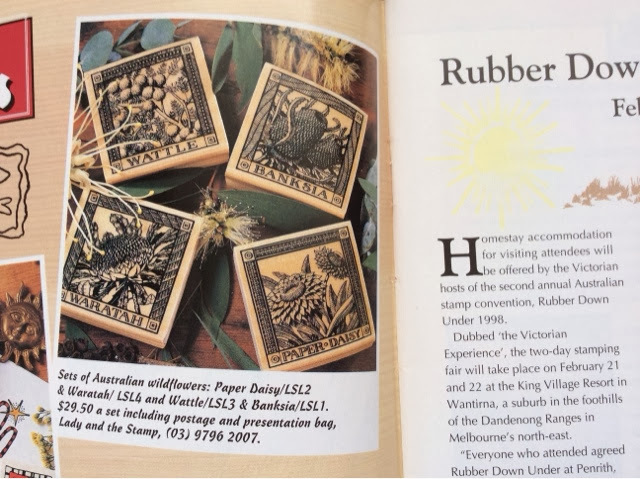 Here's something I found in a very old stamping magazine. This is a set of four really gorgeous Aussie flower stamps. I can't offer you the set of four, but I'm happy to say I have two of these in the Great Southern Stamp Sale!